Another day, another wishlist. 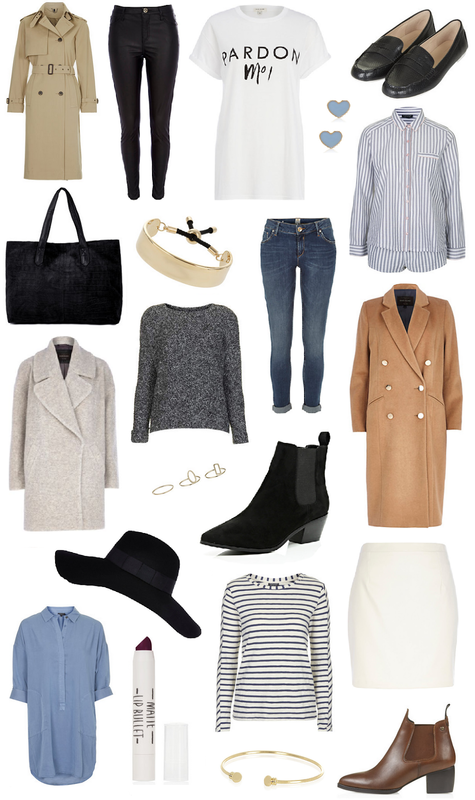 I know I only put my Mango one up at the weekend, but online shopping seems to have taken over my existence recently, so, well, here’s another selection of my top picks. With it being student discount season, I opted for some picks from Topshop (discount ends tomorrow) and River Island (discount ends Thursday), as both stores have 20% off and seem to be doing oh so well with their AW edit. Stand out pieces to me are definitely the trench coat, so Burberry-esque and one to invest in as it’s pretty timeless. I also love the oversized grey coat (which also comes in pink), the classic stripe top and the cream leather skirt which will see you right through the year til next SS. Other pieces I love but forgot to include are this amazing pink coat which I might have to purchase and this must-have tartan scarf. Everyone needs one of those in their wardrobe, right? Miss Selfridge is also doing a 20% off deal so I’d totally recommend this fur coat, as it’s completely gorgeous. Are you gonna pick anything up from Topshop or River Island? Don’t forget to check out my blog sale if you’re after a bargain winter coat!